Firstly, it must be said that I cannot recommend you go out and see Day Watch unless you’ve seen Night Watch first. Yes, this is a sequel. In a way similar to what occurred in 2002 this is a sequel that is a game-changer. However, while Attack of the Clones merely changed Star Wars in my eyes, giving me a glimmer of what it is that drew the fanbase; The game-changing here is completely narrative-based. I cannot get too deeply into except to say that it’s a second installment that not only trumps the first entirely, but also sets the table for almost anything and everything to happen in the third. Now the bittersweet follow-up to that sentiment is that the third installment, at least on film, may never come. The films are based on a trilogy of novels by Russian authors Sergey Lukyanenko and Vladimir Vasiliev. As best as I can tell co-writer and director Timur Bekmambetov still has ahold of the rights. While I was tempted to be mad at him for coming to the US and directing and producing things I either didn’t like or had no interest in seeing, I read a while back that one of the hold-ups was that financiers wanted to make a third installment in English, which I am against. If that’s the case I applaud the holding out. Leading me to my next point that if you do seek these films out do so by watching with the original audio. I’ll not bash dubbing all the time, but when it’s bad it’s awful and the dubbing here is the worse. Aside from the fact that you hear the actors speak in the Russian language version you also get some of the most creative implementation of subtitles that you’re likely to see. The text floats about where it makes the most sense for it to be, the lettering is stylized and dynamic and is every bit as much an artistic statement . At its very core, when boiled down to a bare minimum, yes this is a narrative like others you’ve heard of before. The series is a tale of the eternal unseen battle between forces of darkness and light in a very literal way. However, it’s the adornments, the style and the production that give the films their added flair and meaning. It’s also not a film whose cultural setting is inconsequential, which is a large part of why an English-language follow-up would be a mistake, being a Russian story very much factors into this film. This was the first year my awards went to 10 Best Picture nominees. I cited it as not being a very strong year at the time, but the top couple of films were quite memorable. Even if this series never sees completion this is quite a way to go. 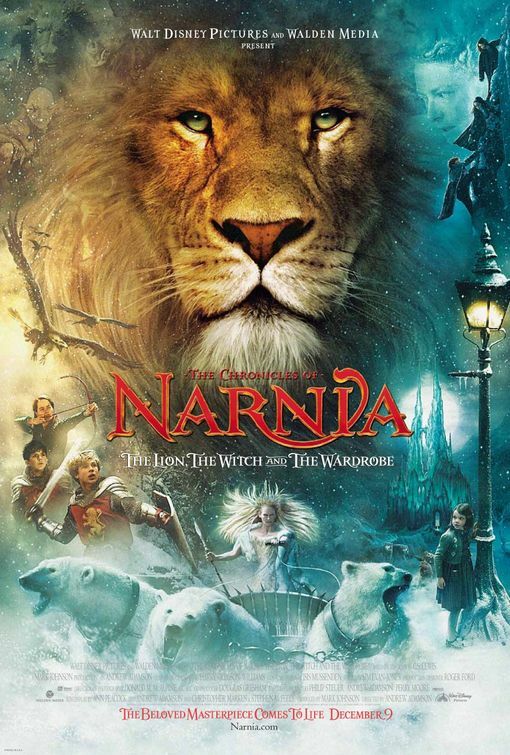 The Chronicles of Narnia is another series that I have a long history with. I presume it must’ve been The Lion, The Witch and the Wardrobe that was a book read aloud when I was in a Montessori grade school. We later saw the BBC animated rendition of that book at least (if not more of them- and it’s a far less frightening animated version than their take on The Hobbit). I don’t recall ever revisiting the books, or continuing the series in my childhood. Then when the first film version was due out naturally the books became more prominently displayed in stores again. I seized the opportunity (as films have been known to occasionally act as catalysts to me reading) to acquire the omnibus presentation of the entire series in the now-preferred reading order; the one first suggested to Lewis by a young reader named Laurence. Since I commuted quite a bit at the time, and it was the end of the semester, I had quite a bit more free time on my hands. I ended up reading the entire series in a weeks’ time, at least one of the books being the ever-so-rare re-read. This had to be less than one month prior to the release of the film. Therefore, I was quite ready for it. However, I was not expecting what I ended up getting. Firstly, as I’ve highlighted before distance between the reading of a book and then seeing the film can be a great, even a beneficial thing. It leaves you less encumbered by the facts and more willing to accept a tonally true version. So the film had that against it rather than for it. I ended up finding myself very engaged and enthralled by the vision of this land presented in a way I’d not seen, nor ever imagined. Perhaps more so than in any other book in the series, Wardrobe focuses on a character’s struggles with temptations and greed. In the “Pevensie Tales” it is Edmund who is the most layered and interesting and it is in this story, through the writing, directing and rendition by Skandar Keynes that he fully, vibrantly comes to life. Alongside him is one of the more brilliantly portrayed antagonists in recent memory – Tilda Swinton’s White Witch. It’s reflecting back on this film this year that lead me to a truth: I cannot cite thinly-veiled propaganda or allegory alone as a dismissal of a film; films both good and bad can be hung with that label. I say that because the Biblical allusions in the series, this installment especially, are fairly overt. However, what’s at the core of the tale are things far more universal and eternal: basic values and human struggles that are not unique to those of the Christian faith. It just seems these books/films take a lot of backlash (especially via ridiculous comparison to the works of Tolkien and friend and rival of Lewis’) as if they were some Bible-thumping bore. Whereas I’m rather sure the same fundamentalists appalled by Harry Potter, don’t take to kindly to talking beasts; especially a godly one (symbol or not). The Chronicles of Narnia: The Lion, the Witch and Wardrobe was another late-in-the-year jolt to my awards picture. It was the beginning of what, most certainly behind-the-scenes, has been a long and most unusual journey. 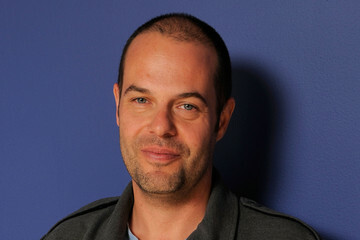 The series through three films has seen two studios, and now survives based on its international grosses. The fourth film, The Silver Chair, has a green light, a writer, a new production company and potentially a new studio (that remains to be seen). This was the start, and even in my fandom, I admit Prince Caspian was a letdown, but think the series righted itself. Now as it awaits its next port I still look back on this installment with the greatest of fondness; not just for bringing a treasured childhood tale to life, but to the cast for making the Penvesies more engaging and vibrant than I could have imagined. There should be a rule that bars people from remaking a story when the definitive edition has been made. While I loved the much maligned ‘Hook’ and Disney’s version PJ Hogan created the perfect version of this tale. It uses more from the book than ever and even improves on some elements. The proper theatrical conventions are kept like Hook and the Father being played by the same actor and also the proper ones were done away with like a woman playing Peter’s role. This is the way the story of Peter Pan should be told The imagery is balanced between fantastical and realistic. Every single character is perfectly cast, especially Jeremy Sumpter as Peter. The special effects were so amazing and unique I was actually surprised to see that Industrial Light and Magic did them. The film flows beautifully with scenes that seem as if they are pulled straight from my dreams. This is a story that has always been very dear to me and I feel that people are making way to much of this film. Peter’s escape embodies a fear all children suffer from at one point or another: growing up. This is the essence of the film and the conflict is heightened by the fact that Wendy loves Peter and for him to love her back he knows he’d have to grow up. One day we know we must grow up. As children we envy Peter’s being but know that our destinies are more those of Wendy, Michael and John. As adults we find Peter’s dream of perpetual childhood beautiful but as we see his heart breaking because he cannot change who he is and live with the Darlings, so do ours. For that is our plight. There is not an audience this film can’t play to for that very reason. It’s a heartwarming, swashbuckling, funny, adventurous, to say that its an experience doesn’t do it justice. This film is truly a dream come true. It’s impossible not to like this movie. 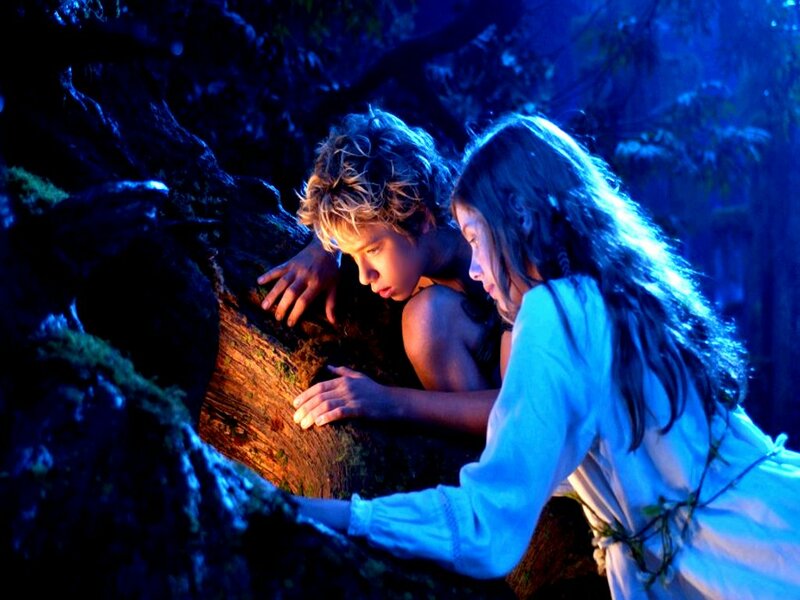 Open your heart, shut off your brain and watch Peter Pan the way it was meant to be seen. Yes, I included that in its entirety even though there are some aspects I’d caveat or amend today. One of the amendments would be about stopping remakes. My point was that there’s a crystallization of a narrative in a certain form, to me this version of Peter Pan is it. It’s conscientiously still a storybook version but more real than prior versions, darker and more dramatic. The second statement above that would need clearing up was the “shut off your brain” segment. While I still agree that Peter Pan is more a visceral than intellectual experience I wrote that as a knee-jerk reaction to some of the over-analysis of certain production decisions I read at the time. In terms of the intellectual aspect this version perhaps places the most emphasis on the tension between Peter and Wendy and the inner struggle each faces; Peter’s clinging to childhood and Wendy’s realization that she needs to go towards adulthood. Furthermore, the Hook/Pan dynamic, to borrow a trite modern colloquialism, the “frenemy” status exemplified by Sumpter and Isaacs is brilliantly portrayed. Quite a few of my selections I believe were directors going where they were not necessarily expected to, and PJ Hogan hadn’t done anything in this vein yet. That’s for sure. One history of the BAM Awards-related note. I used to in the days before streaming and on demand selections call the end of the year on-or-about Christmas. I believe Peter Pan’s release date was 12/27. Based on the conception and the strength of the trailer I extended the deadline that year and it became the first last-minute title to claim the number one spot. This was and is a story I have a long history with. There was never a version quite like this one, and I don’t anticipate there will ever be one like it again. It’s something rather special. I knew that from the moment James Newton Howard’s “Flying” began (Another BAM note is that I erroneously eliminated it from scoring contention because of the classical cues used, when most of what I loved was original work). Peter Pan, in the face of being written off by many, won a slew of BAM Awards in one of the most dominant showings ever, and I can explain why further if need be, but I think my case is made. NOTE: The 2001 winner was covered extensively in a very long series starting here. Basically I will here, as I have done with a few of these posts, synthesize not only my writings on the given film, but also discuss my personal history with the film. And understanding where I’m coming from with both Star Wars and the prequels is key to at least cutting me a stone if not understanding and agreeing with what I say here. I later realized I probably saw snippets of them growing up, but that’s not really seeing them. And having seen these first things like midi-chlorians which were later introduced are easier for me to stomach as a “late-series” change. Now while I will always defend Jake Lloyd from the lynch mob, I agree The Phantom Menace is no great shakes. However, a few things bear considering: the first is that if you think there are problems with that film he’s one of the very small ones, there are others. Next, oddly enough, and my brother and others in his generation are a testament to this; Lucas really did make that one for kids. In essence, he always did, at least to the kids in adults. Over the years while no new follow-ups emerged the legend ballooned, the grandiosity, importance and gravitas foisted upon the series by fans sky-rocketed. To such an extent that when I saw The Phantom Menace, with no prior frame of reference, I was like “That was OK, but I don’t see what the big deal is.” When Attack of the Clones came out – that’s when I started to see what the big deal was. The 2002 BAM Awards are a testament to that. While you can sit there and write-off the awards as a newfound fanboy heaping love on his new pet if you want some things are separate from the film that were awarded merely on technical and artistic merits of the work done. Williams’ scoring in this film remains one of my favorites in his canon; arguing against ILM on a Lucasfilm project is folly; cinematography in CG-heavy films does matter (perhaps the Academy was a bit misguided in choosing Avatar to recognize that notion, but it does). And wooden dialogue or not this film does move wonderfully and has great situations and is a bifurcated tale of romance and political intrigue. It plays much closer to its serial film roots here. It’s also a film I’ve revisited very often since I saw the original films and given the chance to do this year over again I doubt I’d change my mind. In 2012 The BAM Awards debuted a shortlisting system. The idea being that it’d split up the deliberating process and perhaps streamline it. First, I take all the considerations and build a short list, from that shortlist choose the eventual nominees. What happened last year was that all the deadlines were too close together. This year the nominations will be announced on 1/2/2014; the winners on 1/9/2014. This should allow ample time for decision-making and writing. Also, titles viewed between the creation of this list and the year’s end will be eligible and chronicled on a separate post. Titles on the December considerations list are not factoring in until the final nominating process. Enjoy, and do come back for the announcement of nominees and winners. You can subscribe to the blog by email (on the sidebar), like it on Facebook or follow Bernardo Villela on Twitter. Please note this list is not yet completed, it will be shortly. NOTE: Each category had a different number of considerations. The shortlist goals are to reduce the potential nominees by between 50 and 66%. NOTE: For many behind-the-scenes categories only a film will be listed in this phase. When nominees are announced names will be included in most of these categories. This is a time-saving measure. NOTE: With this category there are times I have name(s) and titles(s) along with the film. Artists and song information will be gathered during the nominating process. STOPPING POINT. SOME CATEGORIES DIDN’T GET TRIMMED DOWN. SLEEP NEEDED ACHIEVING. THE POST WILL BE COMPLETED IN DUE COURSE. 3 AM. Peter van den Begin Allez, Eddy! Central Station would be the first time the BAM Awards ventured to foreign soil to pick a Best Picture winner. However, maybe it’s more apropos to say that it ventured to soil foreign to the US. For I am a dual citizen of the US and Brazil. In fact, I first saw this film while visiting family in Brazil and I believe I later revisited it when I was back home. If you hire an amateur child from substandard living conditions you should, as Walter Salles did for Vinícius de Oliveira in Central Station, help improve their station in life. At that point you truly are picking a lottery winner rather than just casting a role. What of Central Station then? Central Station made quite a bit of money in the US. It was nominated for an Oscar for Best Foreign Language Film and Best Actress. Brazil has more a pedigree on the high-end of world cinema than most would expect. What separates Brazil from most is the consistency of product and, of course, due to the dictatorship there was censorship and artists had to fend for themselves. Now, the government is more active in promoting the arts, the major studios have a presence in the country and so forth. Yet, the fact that Brazil has been up for the Oscar, is the only Latin American nation to win the Palme d’Or (O Pagador de Promessas) and has also scored at Berlin (Elite Squad) is not what is going to dictate the most Brazilian film. Those are just indicators of quality. Therefore, what’s the quality of Central Station? It has memorable source music, it’s a heart-wrenching drama, it tells a tale of a letter-writer and poor illiterate boy. It crosses that divide and it check off a lot of the qualities I’m looking for in a film representative of Brazil. Not to mention that it’s named after the largest train station in the country, therefore it’s a metaphor for the country and the letter-writer hears many stories from people of all walks of life that are indicative of the country and its people. The blend that exists. Central Station is one of a long list of, I believe, far more enduring films that didn’t win Best Foreign Language Film. It didn’t win because America had a momentary brain fever and decided to ignore the issues of suspension of disbelief and taste that had Benigni’s film win everything. I can’t say I didn’t fall under it at the time to an extent, but not such that I thought it should win. However, thanks to that foreign language film nomination it did allow one of Brazil’s great actresses to be nominated for an Oscar and be seen on the world stage. Sure, I’m as cynical about the Oscars as anyone. Had it not been for my own opinion splitting with theirs so violently I wouldn’t have created my own awards, however, I still recognize that it’s a great show and of great significance. Central Station is a moving an enduring film that has been renowned the world over. Although it may not have won many of the prizes it was up for it surely wasn’t a case of me reaching very far afield for a winner.